TK is a win-win-win for children, families and schools. Children are better prepared to succeed. Families have an additional option to ensure their children enter kindergarten with the maturity, confidence and skills they need to excel. Schools benefit because children will be better prepared to succeed academically and less likely to be placed in special education or held back in later grades. The Kindergarten Readiness Act was designed to help ensure that for students who qualified, a year of kindergarten readiness would provide a strong early start to help children read proficiently by the third grade- a critical milestone that predicts whether or not a student will graduate from high school. This legislation changed the requirements for Kindergarten entry from 5 years old by December 2nd, to five years old on September 1st. All students beginning Kindergarten must be 5 years by September 1. 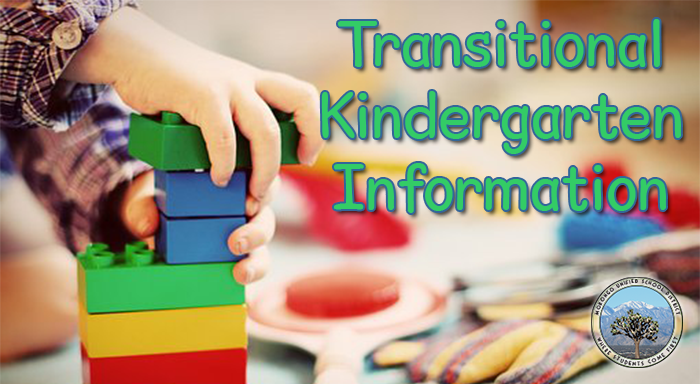 Four year olds with birthdays between September 2 and December 2 are provided an additional year to prepare for Kindergarten by attending one of our sites that offer the Transitional Kindergarten program. Find a TK/Kindergarten cutoff calendar here. Please be aware that there is no transportation for TK students. The following sites offer the TK Program. Please call for any further questions or to start your student's TK enrollment today!